The Sidney Myer Music Bowl show in Melbourne sold-out within minutes, with the second show close to selling out, the band’s Quodos Bank Arena show & one-off intimate show at Enmore Theatre in Sydney have both sold-out, with all other shows in Brisbane, Perth & Adelaide are selling fast. You better get in quick to avoid disappointment as there are limited tickets available and they will sell fast! 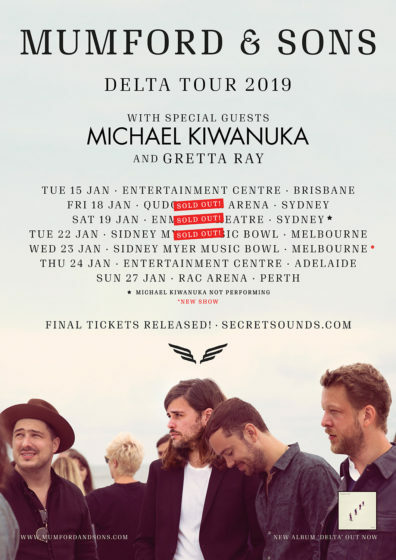 Joining the band on the road and lending their support will be gifted English soul man Michael Kiwanuka (not performing Enmore Theatre show) & rising Australian indie pop star Gretta Ray. 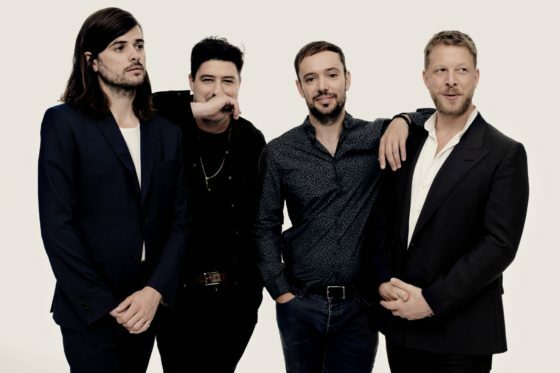 Transition has been a theme for Mumford & Sons since they first burst into our lives almost nine years ago with their iconic debut single ‘Little Lion Man’. With that Hottest 100 topping release they ushered in a new era of melodically stunning heart-on-sleeve folk that was recognized the world over. Masters of the call-to-arms, the band then went on a wildly successful run as their albums Sigh No More, Babel and Wilder Mind sold into the millions. They were awarded the Album of the Year Grammy in 2013 (for Babel) and their songs ‘I Will Wait’, ‘The Cave’ and ‘Roll Away Your Stone’ have entered the public lexicon as rousing anthems to be sung in full-throated unison.